The benefits of stretching are numerous and factual. Stretching is widely supported today as a vital part of fitness. With the ability to reduce stress, ease lower back pain, increase flexibility and more, stretching should become a part of everyone’s exercise routine. While it is widely debated whether or not stretching prevents injury, it has been proven to increase circulation. Although stretching does not necessarily directly prevent injury from overuse, it does increase the blood flow and supply of nutrients to muscles and cartilage. This reduces muscle soreness after working out. The less sore your muscles are, the less painful it will be to work the same muscles and to exercise in general, and the more comfortable your day-to-day life will be. There are four main measures of overall fitness: aerobic, muscular, body composition and flexibility. 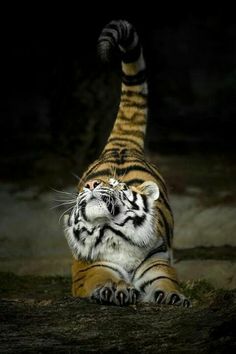 The main way to increase your flexibility is by stretching. As you age, your muscles gradually become shorter and tighter, reducing your overall flexibility. This restriction makes you more susceptible to muscle, tendon and joint injuries. Stretching is primarily responsible for increasing flexibility, and reduces these risks. Increased flexibility also allows you to exercise more easily. Stretching has been shown to effectively increase range of motion in joints. Better range of motion enables you to keep better balance. Better balance means you are less susceptible to falls and the resulting injuries (of particular importance as you age). Increased range of motion also helps to keep you up and moving. Everyone has stress. Everyone is constantly looking for new methods of relief. Like all types of exercise, flexibility exercises like stretching have powerful stress-busting abilities. Stress causes your muscles to contract, becoming tense. This tension can have negative effects on just about every part of your body. 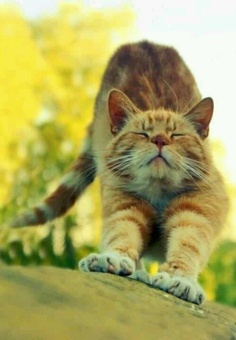 Gentle stretching exercises relax tense muscles associated with stress. Also, since stretching is an exercise, it has the same endorphin-boosting effects, improving your mood and the way you feel in general. Millions of people struggle with chronic lower back pain. Stretching is an excellent way to strengthen the lower back muscles, alleviating soreness and pain. Since many muscles (quadriceps, hamstrings, lower back muscles and hipflexors) contribute to your posture, stretching these muscles has the ability to greatly reduce or eliminate lower back pain.